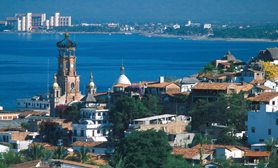 The most famous tourist areas in Jalisco are Puerto Vallarta, the Guadalajara metro area, the Costalegre and, popular for ecotourism the Los Altos Regions, Montana Region and the Lake Chapala area. 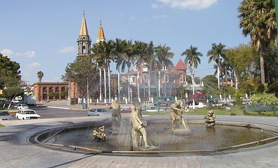 The city of Guadalajara has many attractions which are principally in the city itself and Zapopan, Tlaquepaque and Tonalá. Though the area is mostly urban there are also rural zones such as the Bosque La Primavera, El Diente and Ixtepete which are extremely popular with the ecotourism crowd. 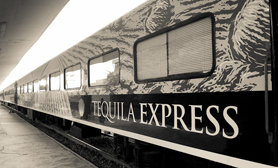 The “Tequila Express” is the most famous tourism attractions of Jalisco which runs from Guadalajara to the town of Tequila. This excursion includes visits to tequila distilleries which often offer regional dishes in buffets accompanied by mariachi musicians and regional dancers. 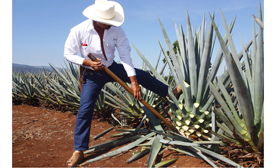 The Tequila Valley area is recognized for the liquor named after it, made chiefly from the blue agave plant which grows abundantly in the region. This valley is packed with tequila haciendas, archeological sites and modern distillation facilities, all of which are popular with foreign visitors. The main historical hubs are the towns of Tequila, Cocula, Magdalena and Teuchitlán. UNESCO has named the agave fields in this area as a World Heritage site.